Accessibility is the main reason that discourages international tourists from visiting the country again. Going by the Tourism Council’s Annual Report 2015, about 41 percent of the tourists who visited in 2015 complained of bad condition of the national highway. The tourists felt poor road conditions would discourage future tourism prospects. Some also felt the need to improve food in hotels and restaurants. 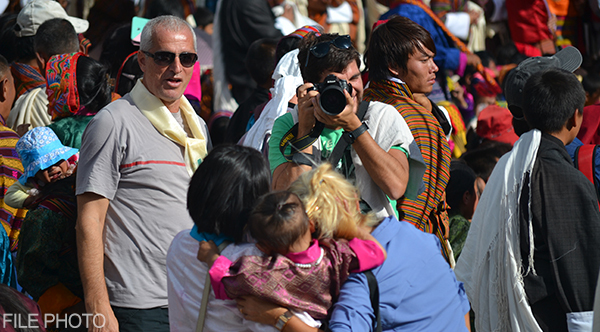 Over a 1, 55,000 tourists visited Bhutan in 2015. “…One of the things Bhutan Tourism Council is doing is in terms of getting people to come back is when we promote Bhutan, we tell them that now we have option of flying by air or hiring helicopter services you can easily fly to other part of the country,” said TCB’s Media Spokesperson, Damcho Rinzin. Officials from the Tourism Council said there is a need for better tour packages by the travel agents to encourage repeated visits to the country. During the recent Bhutan – Austria Economic Forum held in Thimphu, one of the Austrian tourism officials said Bhutan should explore more of ecotourism. “One of this is definitely your herbals, you have wonderful traditional medicine and in the western part of the world, many people do treat themselves and go back to nature. Bhutan has the most valuable herbs in the world. We should try to get something out of it,” said Austrian tourism official, Petra Nocker-Schwarzenbacher. The Tourism Council has also been working with the Department of Forest and Park Services to promote tourism in southern and eastern regions of the country.